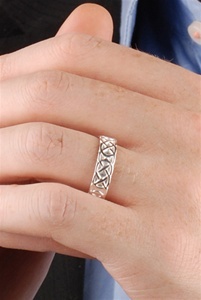 The ring is very solid and and has beautiful Celtic knots on it. 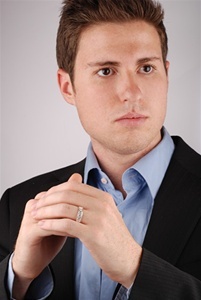 For the price and the solidarity of the ring I thought that .aube would not be there for that price. Ansolutely, if you enjoy this ring's style, purchase it. It is all made in Ireland, so you know you are buying a great and fine hand made piece of excellence. I JUST GOT THIS RING FOR MY HUSBAND AND HE LOVES IT! My husband and I wanted a sterling silver wedding ring set and this set is really beautiful and meaningful to us. It is also a lighter weight than what we had been wearing and feels more natural on our older fingers. We are pleased with our selection. Good service.